En Guarde! 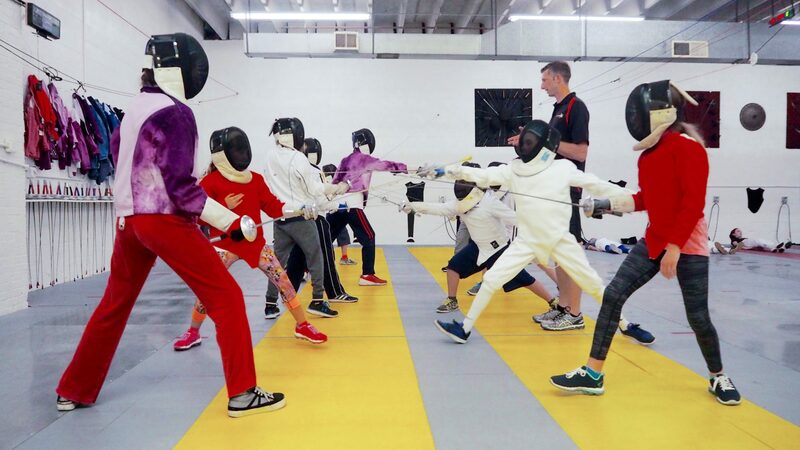 Participants will learn modern Olympic Fencing, including footwork, blade work, and bouting. You even get to compete in a real tournament! All fencing equipment is provided. Fencing takes place in a real fencing club with raised floors, regulation length strips, and electrical scoring equipment. Each week we end with Glow-in-the-Dark Fencing Fridays. The day is fencing- focused, but includes traditional camp activities like swimming. 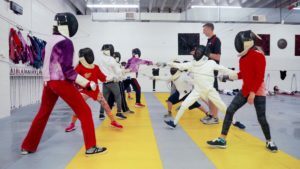 Campers will spend half the day at NOVA Fencing Club’s studio in Baileys Crossroads and half the day at Congressional. All pick up and drop offs take place at Congressional and campers will be transported via Congressional Bus to and from the fencing studio.